2019 Genesis Supreme 40GSXL 5th Wheel Toy hauler with Generator! 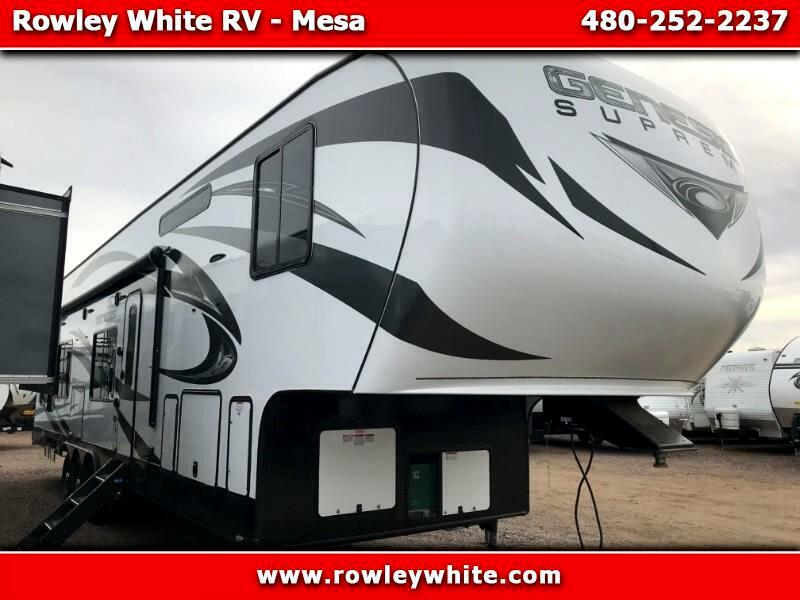 NEW 2019 Genesis Supreme 40GSXL Fifth Wheel Toy Hauler with bedroom and living room slide out! *There is 24 feet of cargo space and 78” under the bunks in the up position! We have lots of toy haulers, pop-up campers, 5th wheels and travel trailers to choose from -- visit our website at rowleywhite.com to see our full inventory. If you're looking at an Attitude, Stellar, Sandstorm, Power lite or any other brand of toy hauler anywhere else, give us a call or stop by, we will make it worth your while!